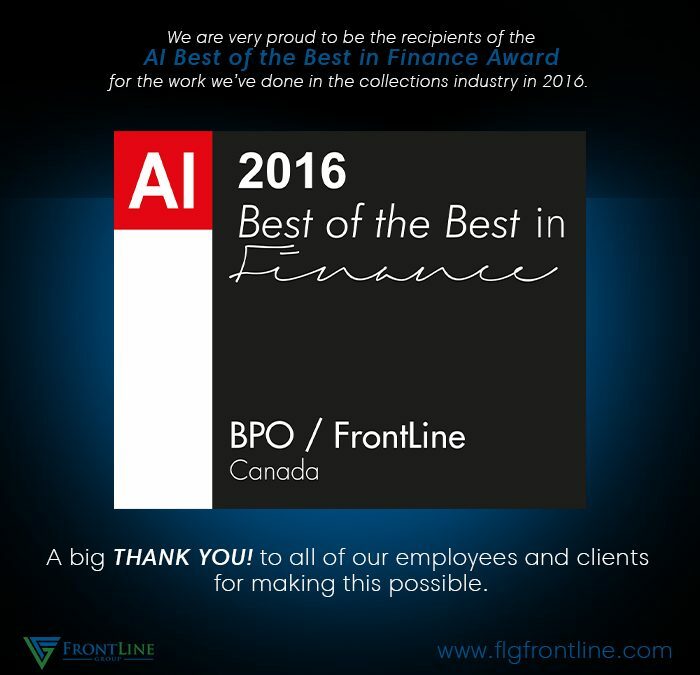 We are very proud to be the recipients of the AI Best of the Best in Finance Award for the work we’ve done in the collections industry in 2016. A big THANK YOU! to all of our employees an clients for making this possible.